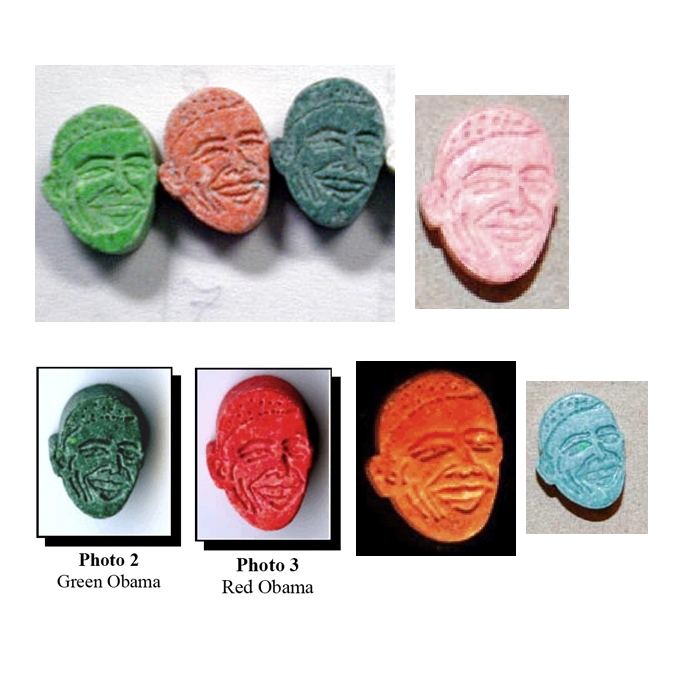 AUGUST 18--In light of the ongoing health care debate and President Barack Obama's recent reflection on the comparative cost of blue and red pills, we present this gallery of law enforcement evidence photos of a product not currently being pushed by Big Pharma. 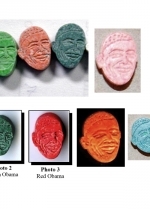 The Obama pills--usually of the Ecstasy variety--have been seized from drug dealers by cops in a variety of U.S. cities. The pills, available in a rainbow of colors, usually retail for about $20 each.